but the course would be a little different. We founded the "Riddle Arboretum Eco Club" that would involve all five of the 5th grade classes. Mr. Barnard found some funds to use in our arboretum. 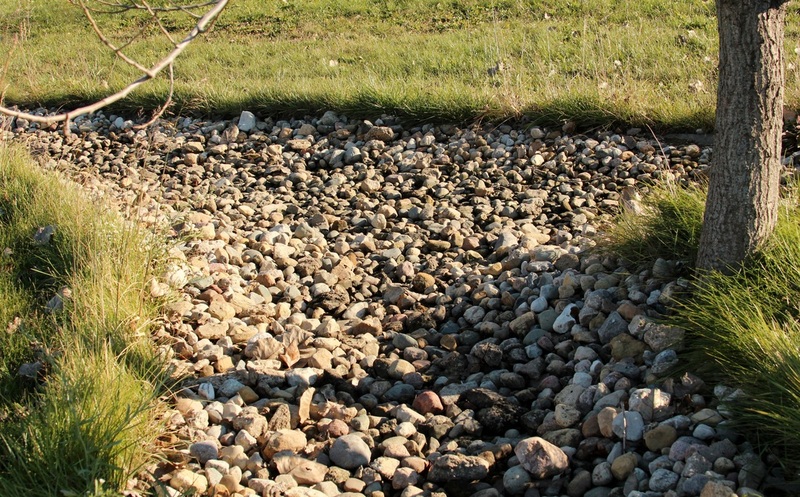 He had the concrete storm drains filled with rocks to help their appearance fit into the landscape with a more "natural" look. 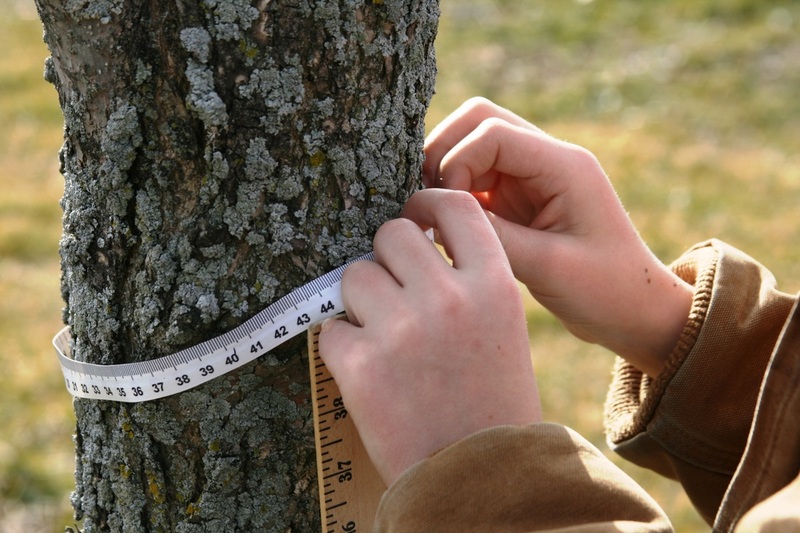 In spite of a very wet spring, we found opportunities to take most of the Fifth Grade students to the Arboretum to "meet their trees", and to collect data. 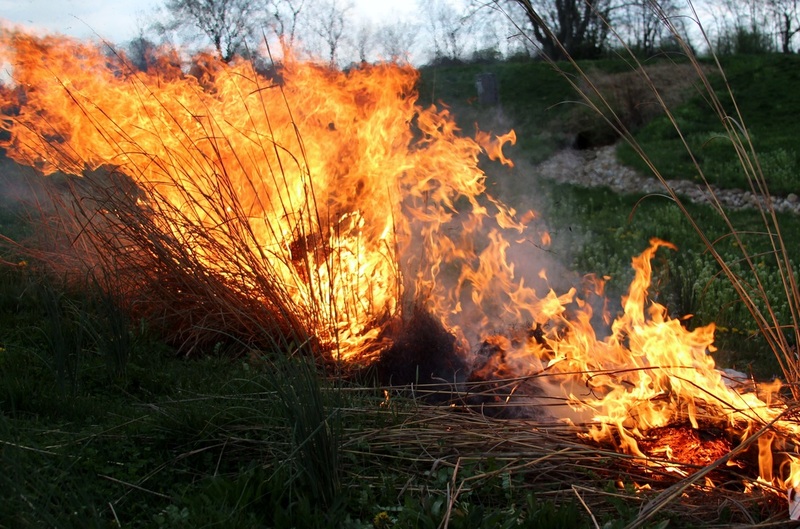 On March 23, we had a "prairie burn" to help the seeds to reestablish themselves. Pictured are: Lindsey F., Tayler N., Sue S., Shania A. 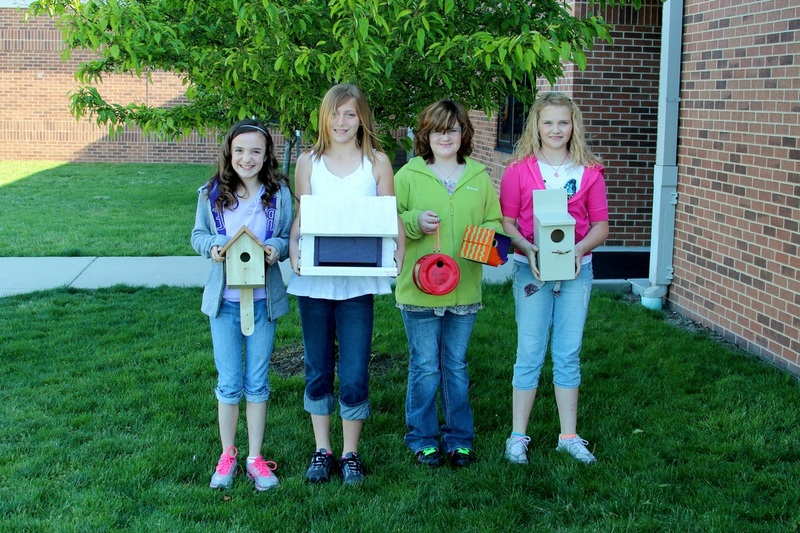 Four of our Fifth students donated their time and effort to build birdhouses as part of their Curriculum Fair projects. and it wasn't long before they had a visitor.